Koreans are known for their beautiful and flawless skin. Let’s find out about the beauty tips they follow! Whether they’re born beautiful, or whether it is their beauty regime, Korean women have the best skin anybody could ever wish for. Their acne-free, clear, smooth, and even-toned complexions are idolized the world over. Orientals have been known for ‘porcelain skin’ from perhaps up to it since may be 700 BCE – perhaps from when the noble class never went outside in the sun and had healthy skin and have been busy passing down the genes since then. But it is not just the genes, but, true to Korean technology, there is a technique to their skin care as well. Koreans are taught to take care of their skin right from childhood. They consider skin care as the ultimate investment and spend considerable time in taking care of it. They also follow a serious and diligent beauty regime. Korean women start being proactive about skin care from a very young age. A good skin care regime reduces the chances of unwanted blemishes and other skin problems and makes your skin radiant. The earlier you start taking care of your skin, the healthier your skin will be. So although you might be following a strict cleansing and moisturizing regime every night before going to bed, but you are still not even coming close to some important steps that Korean women use to help them achieve that spotless, beautiful skin. We might be simplifying a bit by breaking the legendary Korean skin care up, but the idea is to ease you into it. 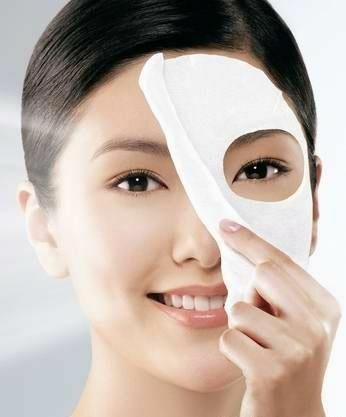 Korean women follow the double cleansing method. The idea is to remove the makeup as well as the dirt that settles on the face throughout the day. The first step is pre-cleansing. to remove the makeup and traces of oil using a liquid cleanser in circular movements. Cleansing oil to remove bacteria, sebum, and other impurities. This oil cleans the skin without drying it. After this cleansing, lukewarm water is splashed on the face to remove all traces of any product. Koreans also take care not to use very abrasive movements or using undue pressure. Only the tips of the fingers are used in gentle strokes. Toning sets the skin after cleansing and exfoliating so that the skin absorbs the moisturizer well. Koreans refer to toner as ‘refresher’ and it indeed does exactly that. Toner replenishes and nourishes the skin, and simultaneously, shrinks the size of pores. They believe that this product and the routine refreshes the skin and sets it for the next skin care regime. Once the cleansing and toning regime is over, Koreans always use an essence. An essence is nothing but an essential nourishing liquid that is usually lighter than lotions and helps in skin renewal. And mostly, this serum or essence is made from natural extracts. They spray this essence on the face and neck to firm up the skin and give them a clear complexion and a sculpted look. An ampule is an alternative to essence. This thick liquid is rich in vitamins, and a single drop is powerful enough to deal with all skin problems. Koreans strongly believe that the best and most effective beauty secrets on the earth come straight from nature. They prefer face masks made of natural ingredients and the most commonly used ingredients include fermented yeast, green tea, and snail slime. Don’t make a face just yet! Snail slime or the mucin it contains is the next big thing in anti-ageing. The world is only woken up to it now, but the Koreans knew it all along! Face masks are applied every other day, followed by a facial massage to give the skin a healthy glow by improving blood circulation. Good skin is actually one that is healthy – inside out. It’s not about symptomatically getting rid of acne or fine lines, it’s about how your skin health is really doing—your skin’s inner environment. Studies have suggested the glowing, pore-less skin of Koreans is not as much because of their skincare routine as it is because of their low glycemic diet based almost entirely on vegetables and seafood.A cardinal rule of skin care states that you are what you eat, and Korean beauties strongly follow this maxim. 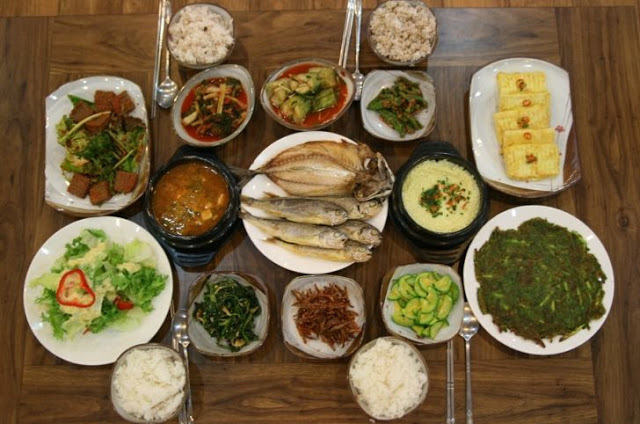 Korean food is more nutritious because it is not overcooked, or laden with oil and fats. Take for example, the humble Kimchi salad, which is actually a fermented cabbage that is loaded with vitamin C and beta-carotene to boost your skin’s natural antioxidants. Another common ingredient present in their diet is Makgeolli, a fermented rice wine that is abundant in minerals and amino acids. It helps to brighten the skin and preserve its elasticity.